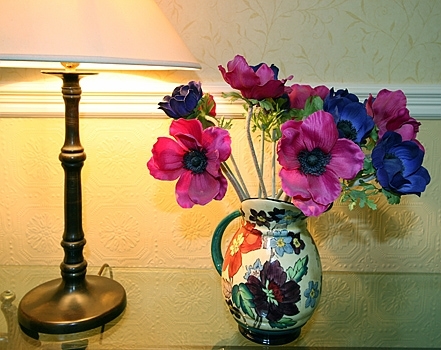 An elegant Victorian town house located in the city centre. Restaurants, Theatres and the Edinburgh Conference Centre all within a five minute walk. 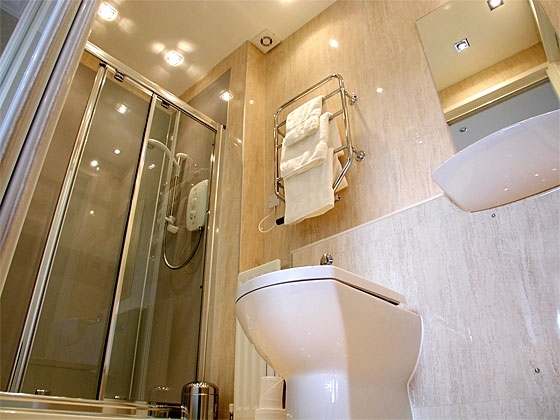 Ideally located for Edinburgh Art College, Edinburgh University and Napier University. 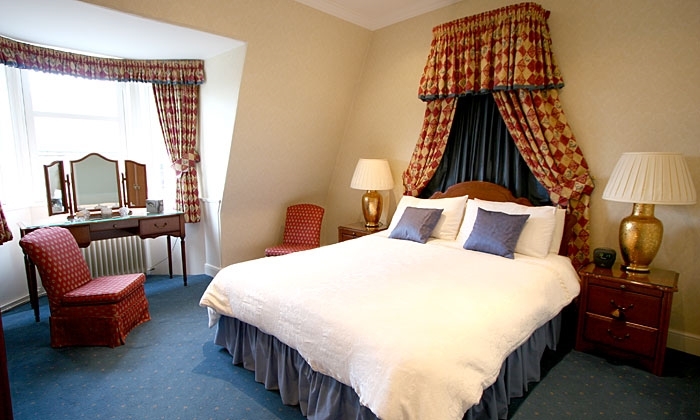 An elegant Victorian town house (circa 1876) located in the city centre with a variety of good quality restaurants within a five minute walk and Edinburgh Castle and the historic old town just ten minutes away. 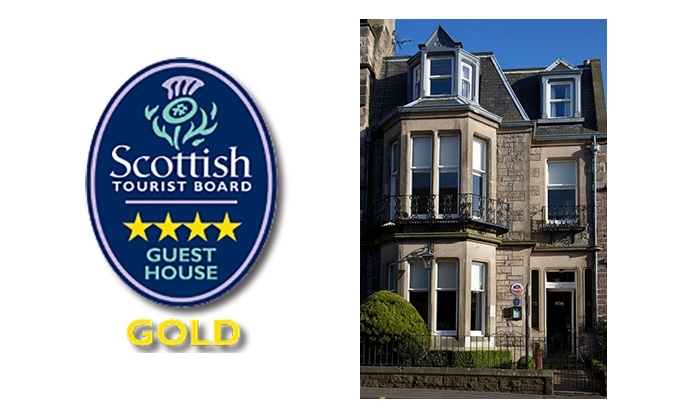 Owned and an operated by the same family since 1982 under the title of the THE TOWN HOUSE and graded by Visit Scotland for over 35 years, we offer bed & breakfast accommodation at the highest level of a four star 'gold' grading. We are also in an ideal location for access to the Edinburgh International Conference Centre (EICC), theatres, cinemas and the camupses of Edinburgh Art College, Edinburgh University and Napier University. 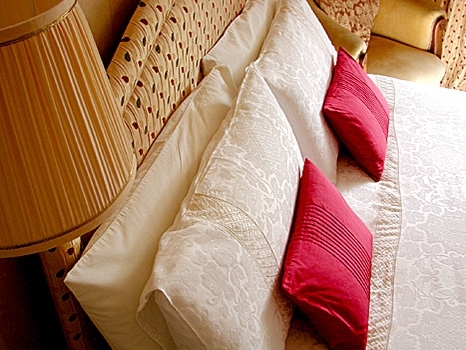 All rooms are tastefully decorated and have high quality en-suite facilities. 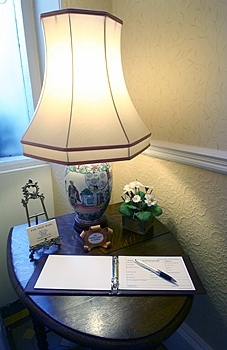 Wi-fi is provide free of charge througout the house and each room has a TV, hairdryer, iron & ironing board, kettle and a tea/coffee tray with complimentrary shortbread. Our off- street car parking area is located to the rear of the house. Breakfast from our 'Taste of Scotalnd' menu is served at individual tables in our dining room in which we display a collection of antique china cups. The menu gives a wide choice of traditional Scottish fare which includes kippers and fishcakes, all of which can be accompanied by your choice of eggs prepared to your preference. 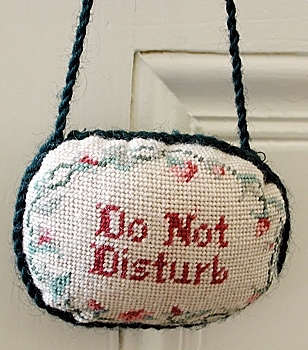 Vegetarian, vegan and other dietary requirements can be catered for on request.